So Christmas is right around the corner, and it's the second week of December and I have traveled to five cities already! I must admit, I travel-ALOT, and every time I travel, I think of items I wish I had that would make traveling better. So I have compiled a list of my top ten gift ideas that would be perfect for your jet-setting friend! Traveling without earphones is probably the worst thing ever. So your jet-setting friend needs good earphones that will cancel out the crying babies or snoring neighbors. When I travel, I take my backpack everywhere! I think it is a travel essential because it doubles as my purse. I have my laptop, camera, wallet and makeup bag in my backpack and I don't have to worry about carrying a purse. I pack my small purse in my carry on luggage so once I get to my destination, I use that as my day to day purse! Backpacks are a necessity and a perfect gift for a Travelista! Sleeping on the plane is inevitable, especially for the early flights. Grab your jet-setter a super warm throw cover and eye mask! She will love it. I can't go anywhere without my portable charger, literally! A portable charger is a perfect gift because everyone needs one! I also think the perfect gift basket idea is a portable charger, phone charging cord and a power strip cord with USB outlets! This thing is genius for a traveler because we always have multiple devices and this outlet will allow you to charge all of your electronics without worrying if you have enough outlets! When traveling, I love carrying along my portable speaker. It allows me to have my own little party in my hotel room! I love traveling in T's, especially T's by Mess In A Bottle!! These travel graphics or so cute and perfect for a jet-setter! 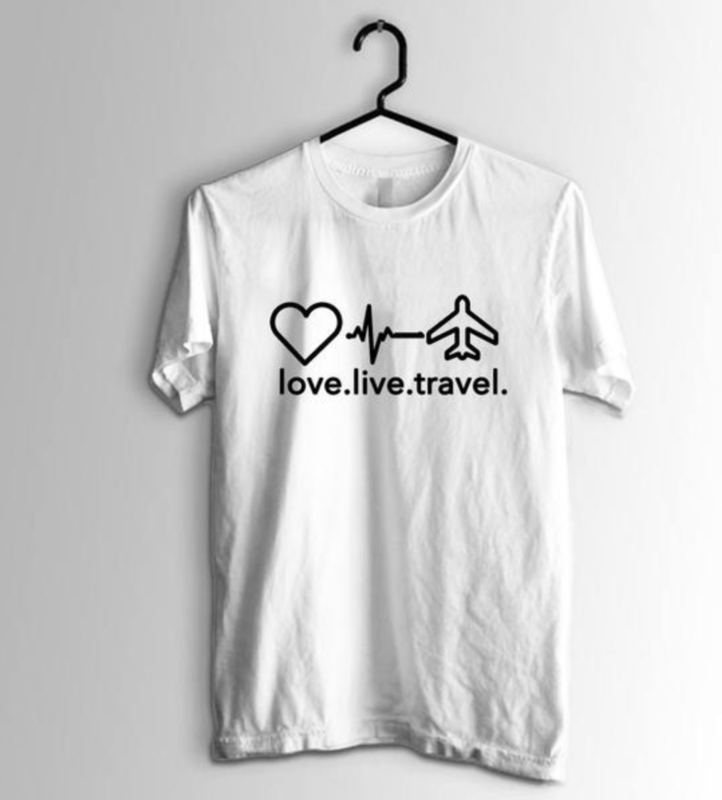 To go with your travel T's, you need some comfortable travel sweats! I love being comfortable when traveling, so a cute sweatpants outfit is a great gift option for a traveler! A fashionista/ travelista has tons of accessories, and a cute travel jewelry case is a great gift option for her to store all of her accessories when traveling. This is one of those items that I really wish I had, every time I am going through TSA. It is so easy to just slip off your flip flops, and they’re obviously cuter comfortable! So there you have it! Your Jet-Setting friend will think you are so thoughtful if you get her any of these items for Christmas!! !